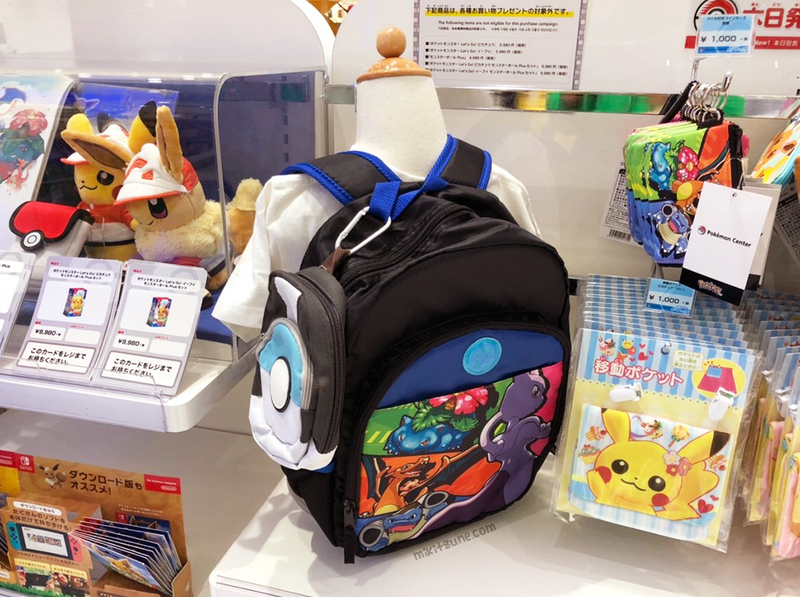 This post will cover three Pokemon Center releases that occurred over the past few weekends. The Pokemon Center promotion I refer to as Pop & Colorful was released at all Pokemon Centers & Stores around Japan November 10th (Saturday). Highlights from the release include the super-size floppy Pikachu cushions and extra squishy Psyduck, Jigglypuff, Snorlax, and Gengar plush cushions. Along with the more traditional cushions, there were also three types of neck cushions (Pikachu, Jigglypuff, and Gengar), phone stands to help prop up your phone (Pikachu, Psyduck, Lapras, and Snorlax), extra cute earbuds (Pikachu, Jigglypuff, and Gengar), mascot plush & coin purses, plus a variety of other smaller items such as phone cases, mini foldable scissors, thermoses, and a variety of colorful pens from Sarasa. The Yokohama Center temporarily closed and then re-opened in a new location November 9th (Friday). 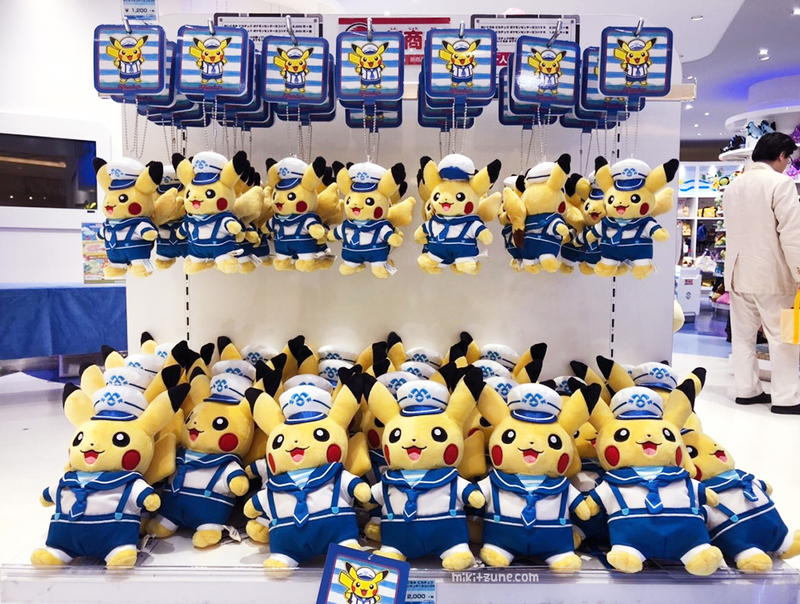 To celebrate the renewal and re-opening, Pokemon Centers around Japan had a special Yokohama Center themed promotion on the same day. As Yokohama is a port city, everything was sailor and nautical themed. Pictured here are the Pikachu plush and matching mascot plush that were sold at all Pokemon Centers & Stores, along with the plush tissue box cover which is equally adorable. 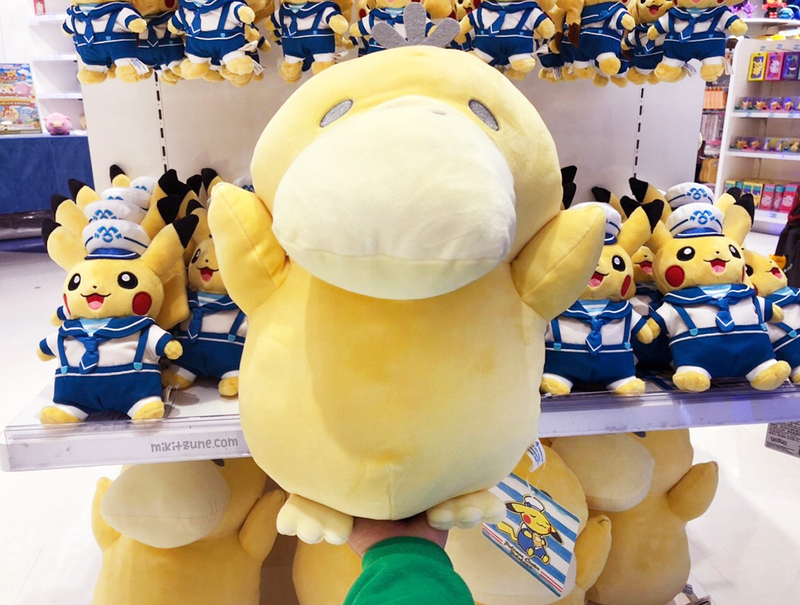 One of the Pikachu plush, with Pikachu holding a Psyduck doll, was exclusive to the Yokohama Center, but the doll style Psyduck plush was sold as a larger sized squishy cushion at all Pokemon Centers. 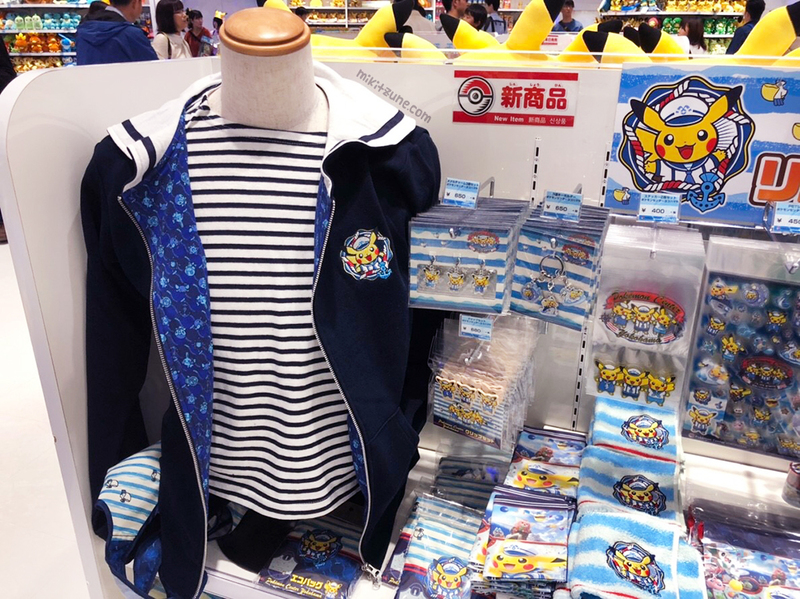 Other items from the release included: two types of charms of all three Sailor Pikachu, a blind packaged acrylic charm collection, a blue and white striped t-shirt and 2-way hoodie, chocolate candy tin, blanket, towels, and some other cute stuff. Last but not least! Alongside the Pokemon Let’s Go! Pikachu & Eevee game release, a couple game related items also went on sale around Japan from November 16th (Friday). 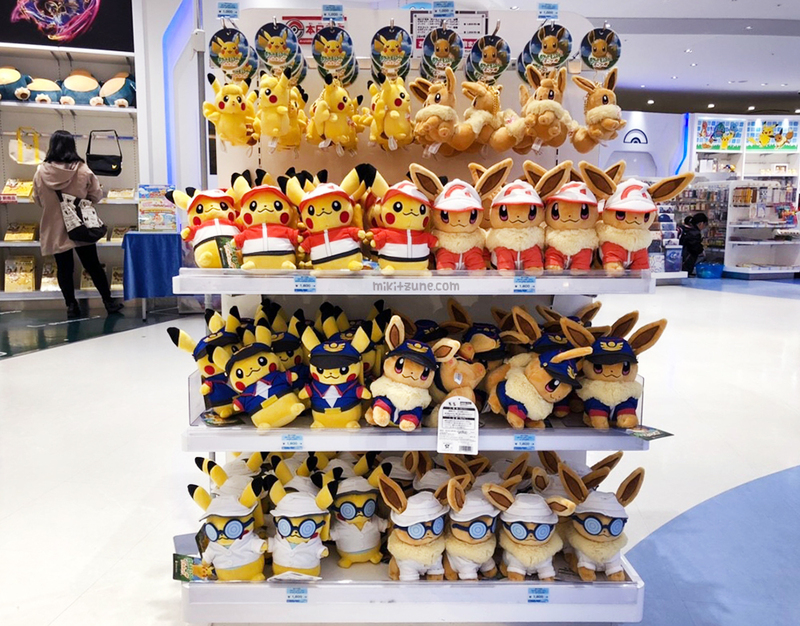 Three plush each of Pikachu and Eevee were included in this release, with the plush dressed up in red sports clothes, blue personal trainer clothes, and as adorable glasses wearing assistants. Two types of Pikachu and Eevee mascot plush were also released. Other items in the release included: phone cases, a blanket, a cute mug, Switch related items such as pouches and cartridge cases, a blind packaged acrylic charm collection, and a couple other things.